The Professional Regulation Commission released the official results of Licensure Examination for Teachers (March 2015). You can find here the list of passers with surname starting with U – V – W - Y – Z, please scroll-down this page. The BPT administered the licensure examination for Teachers last MARCH 29, 2015 in Manila, All Regional Offices, and Zamboanga. This alphabetical list of Passers for Secondary passers are now available for viewing. 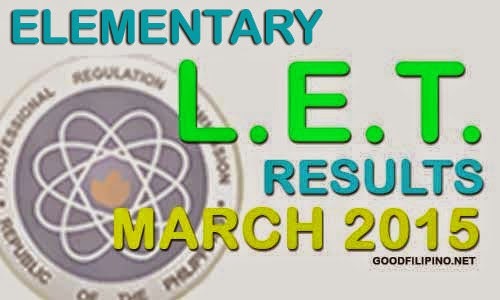 Comments or suggestions about "MARCH 2015 LET Results Elementary Level Passers - U – V – W - Y – Z" is important to us, you may share it by using the comment box below.